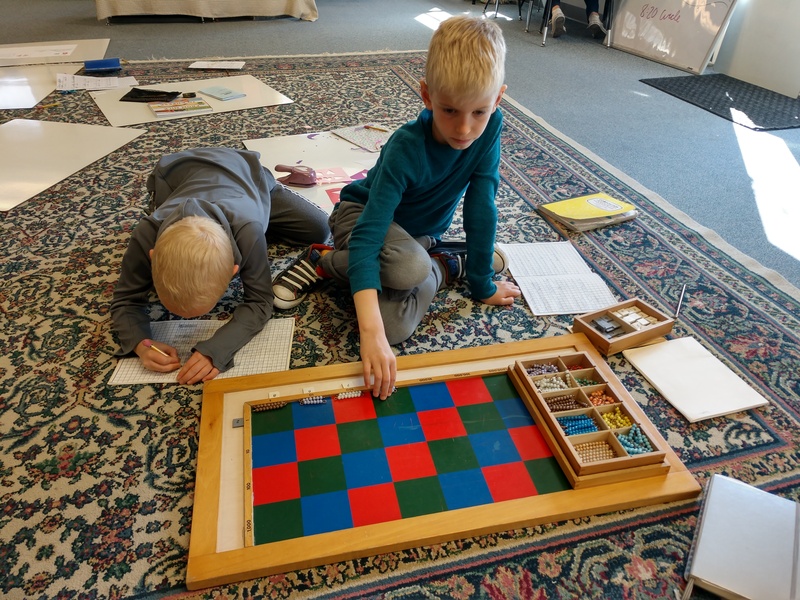 Dr. Montessori knew that a recurring sensorial experience with quantity would help support a child’s understanding of numbers and mathematics. She developed several different materials to allow the child the chance to explore numerical values with a control of error present to aid the child in accuracy and the geometrical aspects of the four operations. The Montessori bead bars are one such material. The bead bars are made of colored beads on a wire in quantities of one to ten. 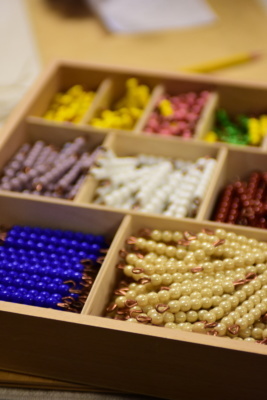 Each bead bar quantity is a different color which helps support easy recognition of the amount represented by the beads. This material is used in both Primary and Lower Elementary. The bead bars are also seen in the short and long bead chains which show the linear representation of the squares and cubes of numbers. 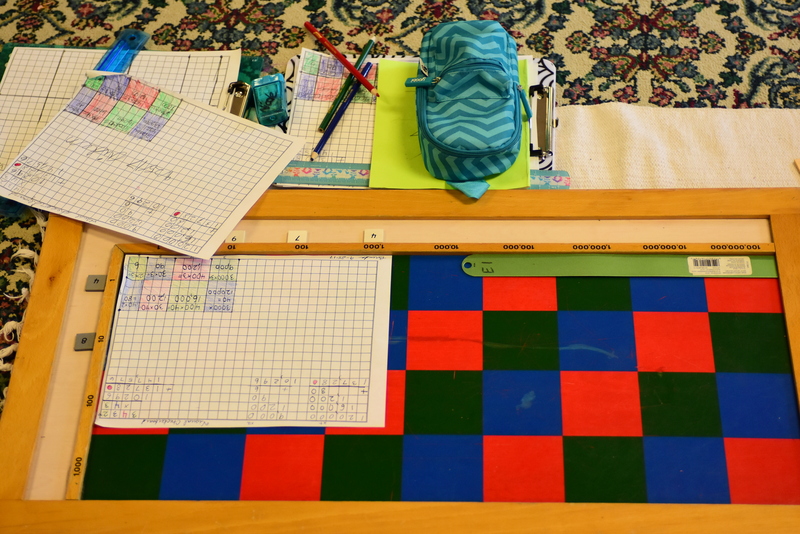 The checkerboard allows students to see the process of long multiplication while still strengthening their multiplication facts. It helps them experience the geometrical nature of multiplication in the decimal system and prepares them for squaring. It allows them to work in small groups on huge problems, both tendencies of the Elementary child. It provides children the opportunity to explore and discover, which helps create a growth mindset and helps them become life-long learners.